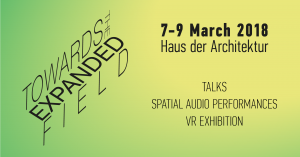 Symposium and Exhibition: Towards the Expanded Field – March 7-9, Graz. The event includes talks by Constantinos Miltiadis (Institute of Architecture and Media, TU Graz) Dr. Gerriet K. Sharma (Institute of Electronic Music, University of Music and Performing Arts, Graz, Edgard Varèse Professor, TU Berlin) and Prof. Stephan Günzel (BTK Berlin). 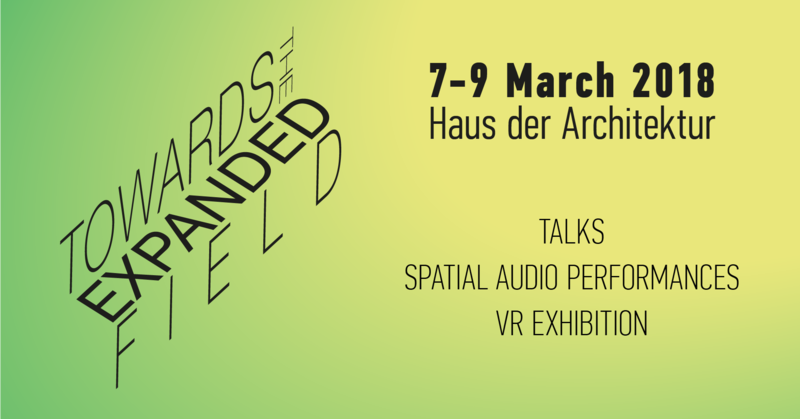 There will also be a VR exhibition and spatial audio performances for the Sonible IKO, as well as a reading group of Rosalind Krauss’ “Sculpture in the expanded field”. This entry was posted in Events by Constantinos Miltiadis. Bookmark the permalink.